To complete the set I released Tuesday, I've filled out the rest of the Tudor-wall variations. We now have a full set of 1x1 - 4x4 of external cross beam walls along with 2x2 of all the diagonal variations. Like usual, if you want any of the diagonal variations in other sizes, ping me and I'll get them released. Grab the cross beam and the cross beam variations sets on Thingiverse and let me know what you think below. 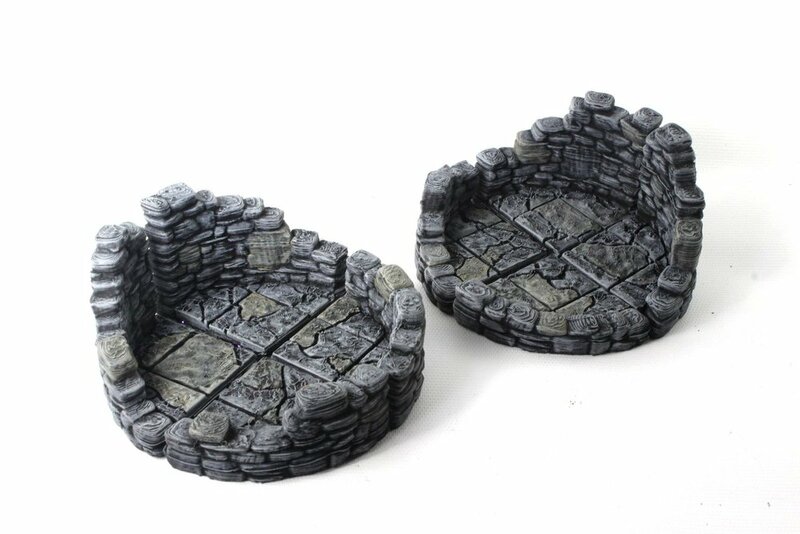 If you like what you see, please support our Patreon campaign so we can continue to bring you high-quality gaming terrain. Bow down before me, mortals!